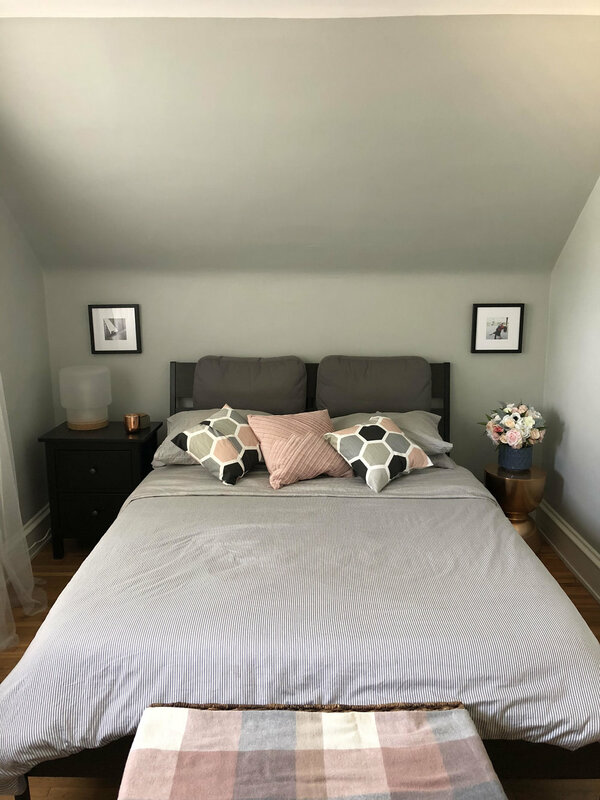 Despite Pantone having chosen Ultra Violet as the color of the year, I've gotten more requests for blush pink flowers this year than anything else! 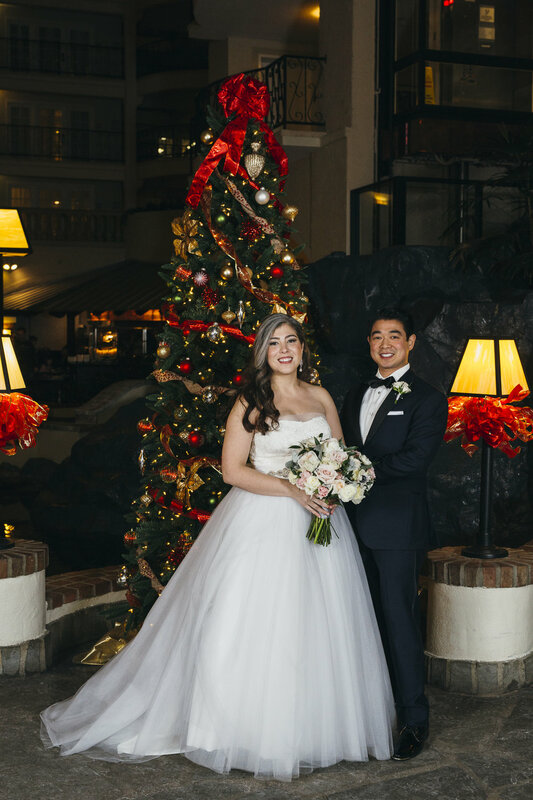 Here's one of those beautiful weddings! 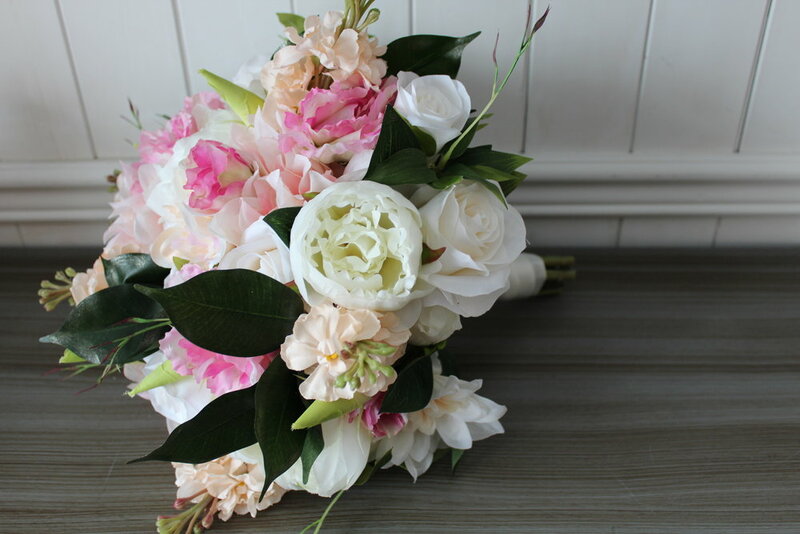 The bridal bouquet was a combination of blush Peonies, ivory Roses and ivory fresh touch Calla Lilies. 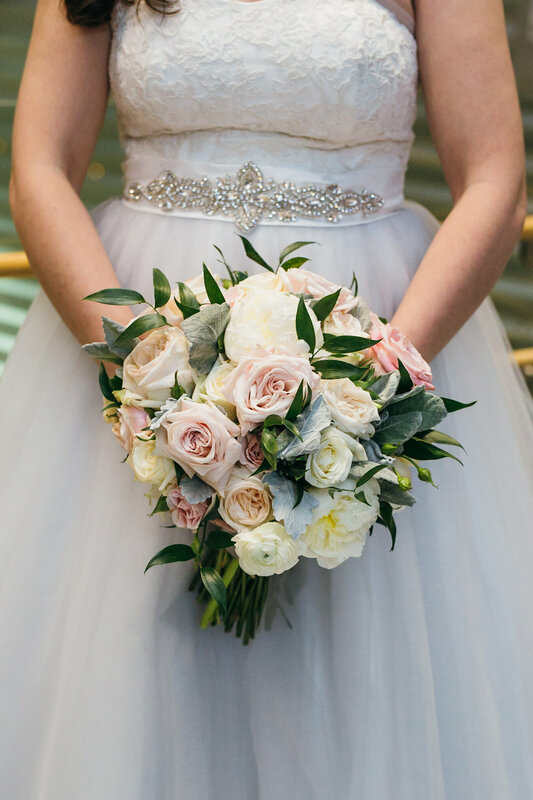 It was soft, feminine, elegant and everything you want in a bridal bouquet! 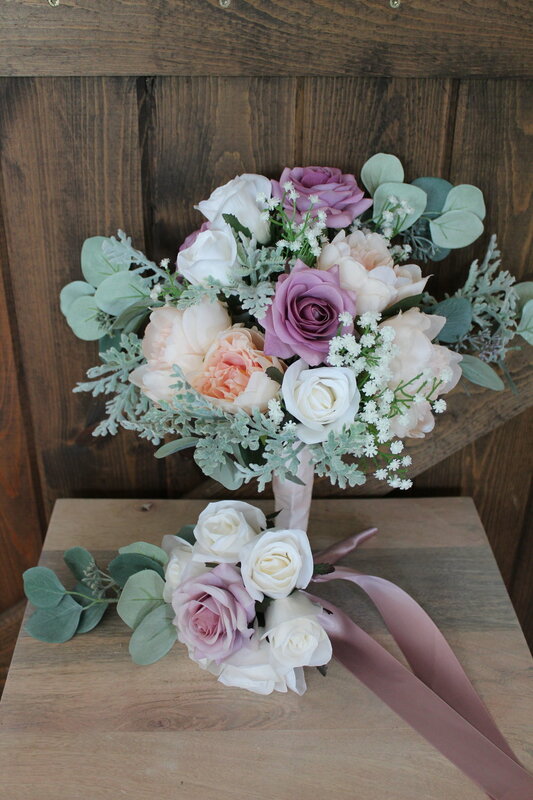 With the bridesmaid bouquets, we did an "opposites" effect. 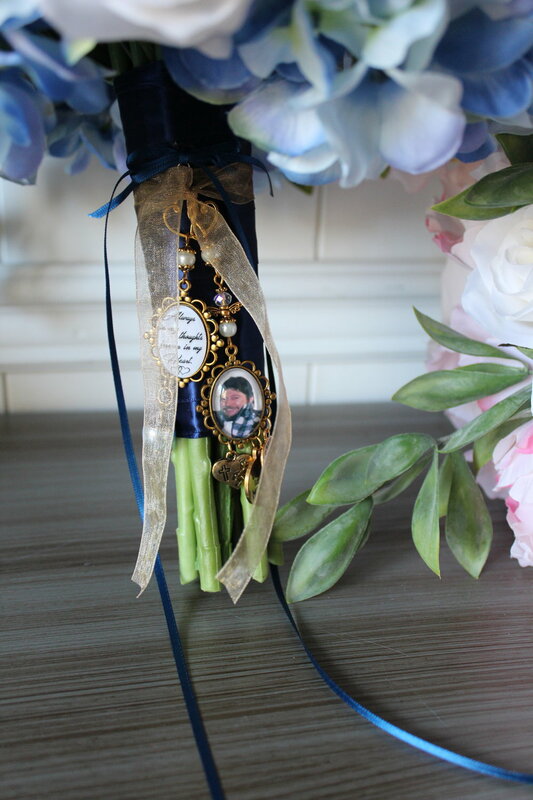 It's a fairly popular option to make the bridal bouquet stand out from the bridesmaids. 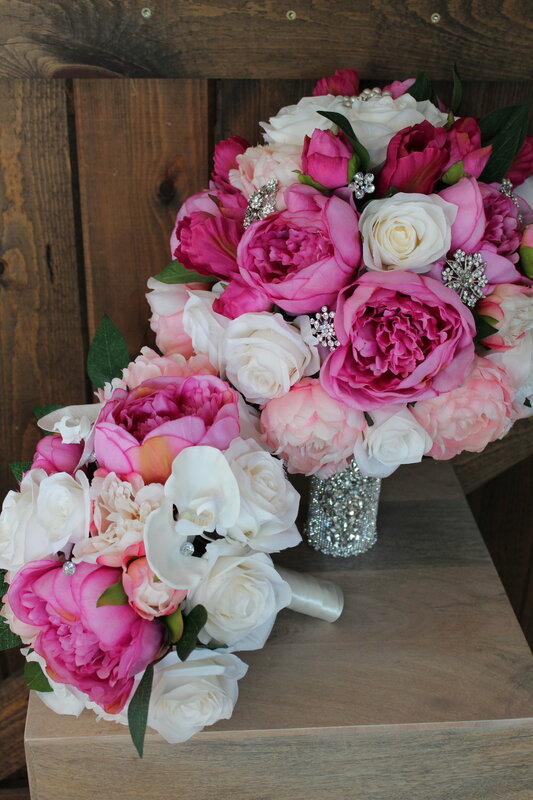 We used ivory Peonies and blush Roses. 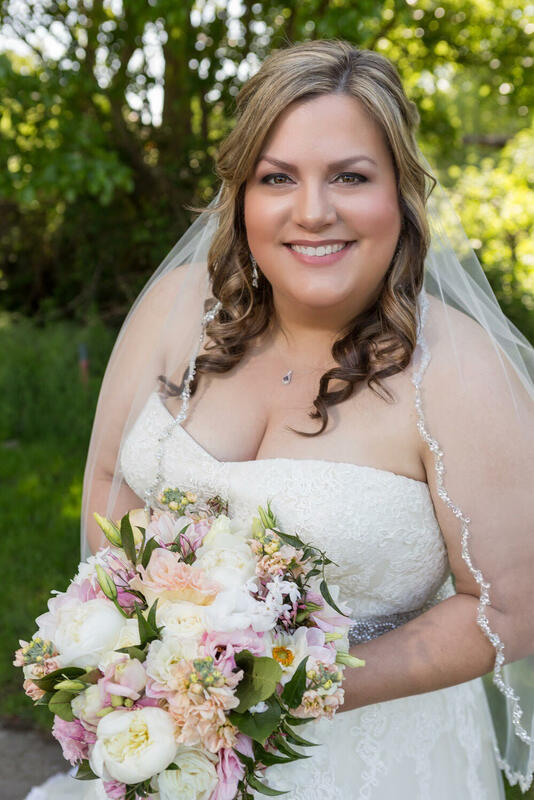 No Calla Lilies were included because that was a special flower just for the bride and groom. 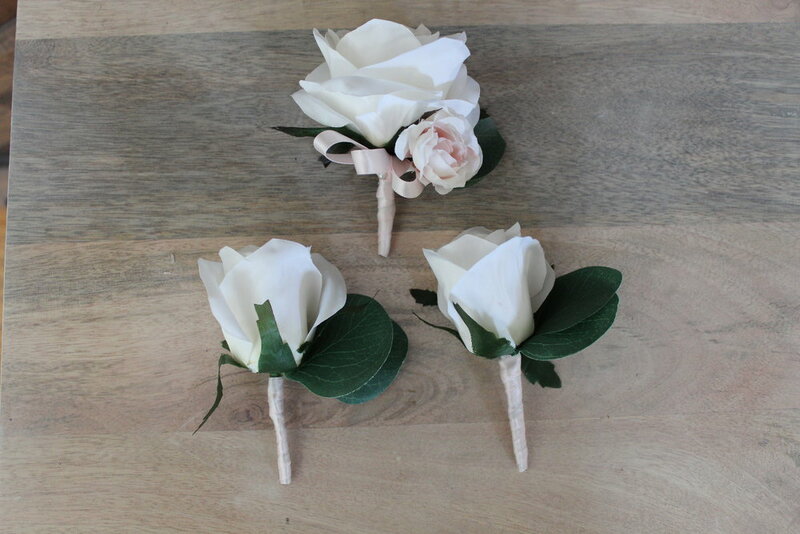 When you are using Calla Lilies and Roses, boutonnieres and corsages are fairly easy to design. 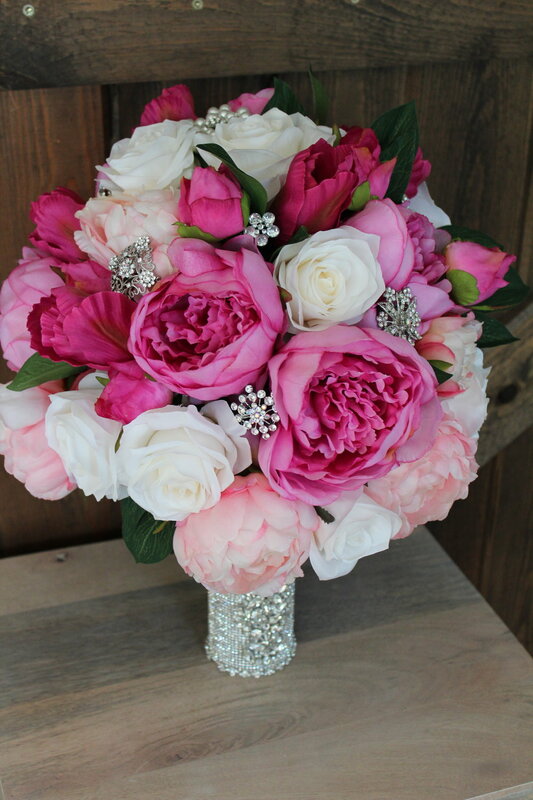 They are timeless flowers that look great on their own or with a little accent color or flowers. 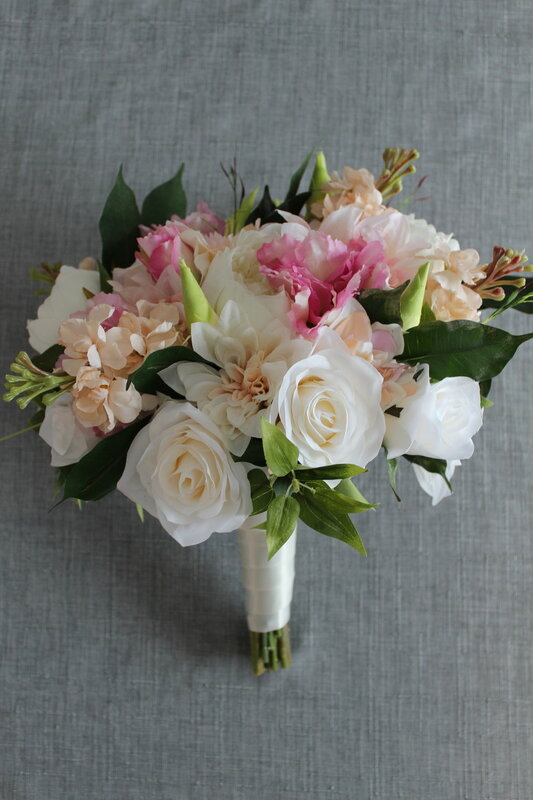 If you are incorporating blush in your bouquets, take a look at some other silk wedding flowers that incorporated this bridal classic. 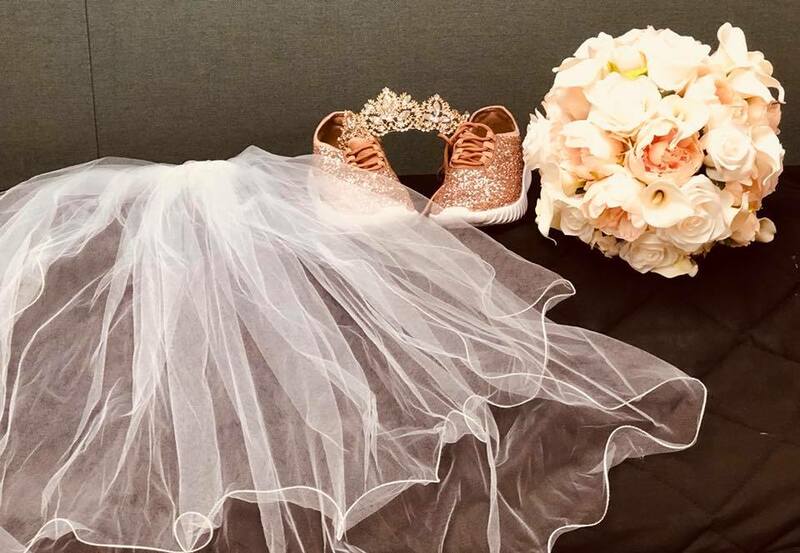 Then send in your Free Bride's Checklist to get the design process started! 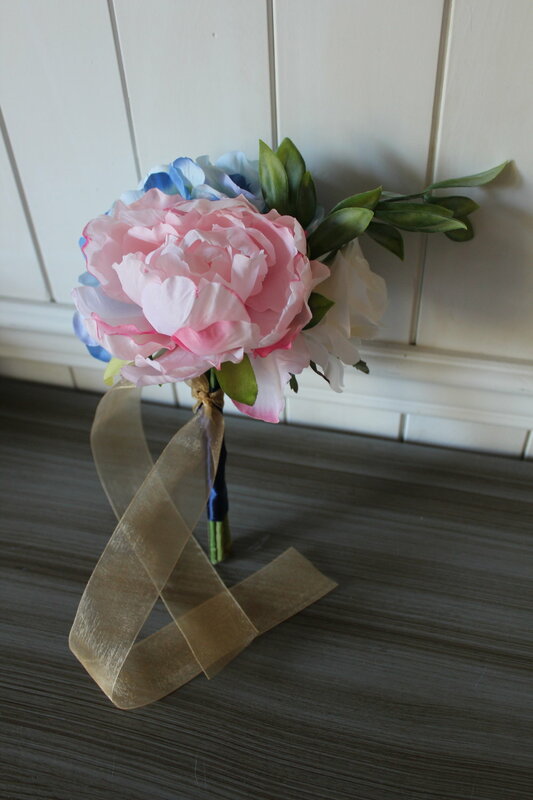 I know it's June already, but I wanted to share some of the bridal bouquet recreations in silk flowers from April. 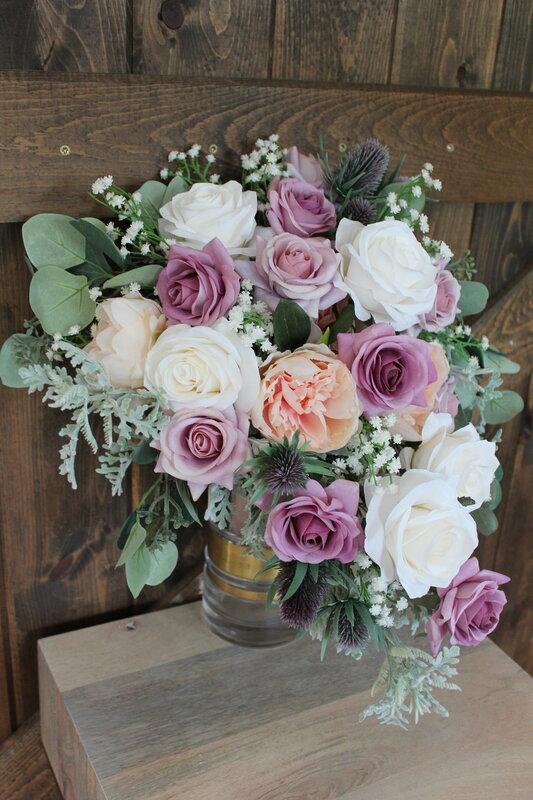 This beautiful and bright bridal bouquet was a combination of roses, peonies, lavender, delphinium, lamb's ear, and freesia. 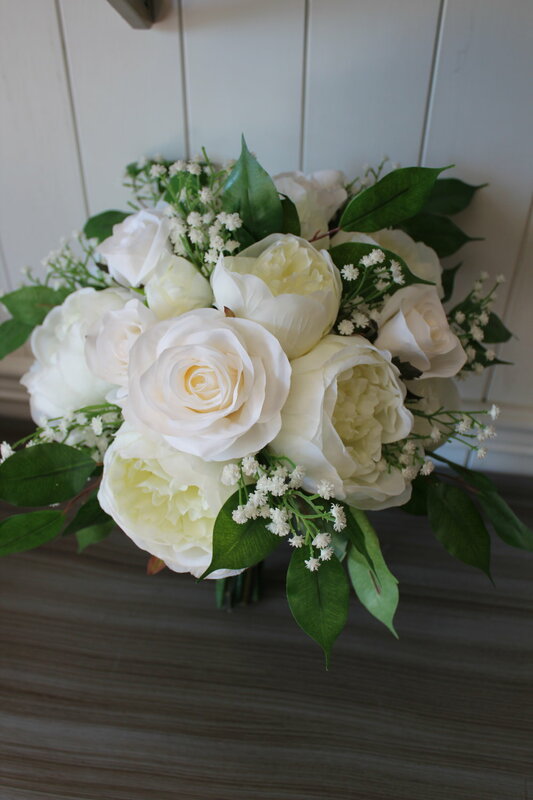 This anniversary bouquet was composed of silk roses, peonies and greens. 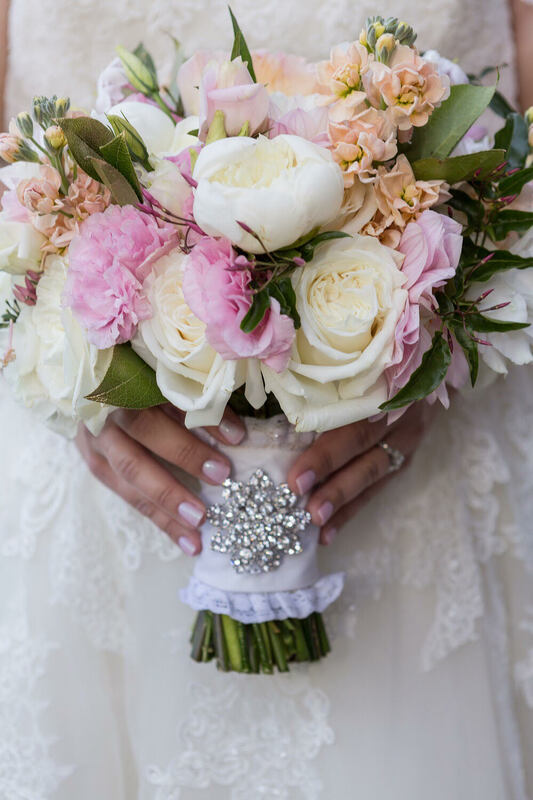 This bridal bouquet recreation from a destination wedding was a tropical mix of peonies, roses, stock, dahlia, and dusty miller. 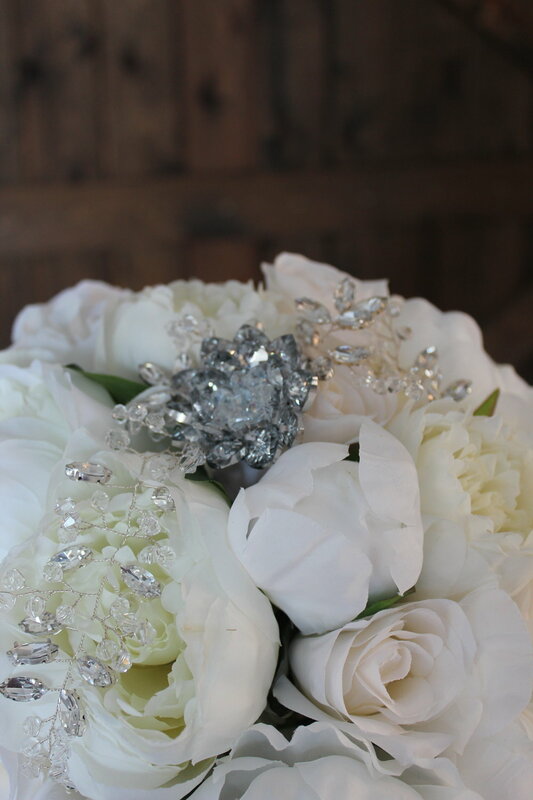 If you are looking to have a bridal bouquet recreated in silk flowers, contact me today for a free quote!